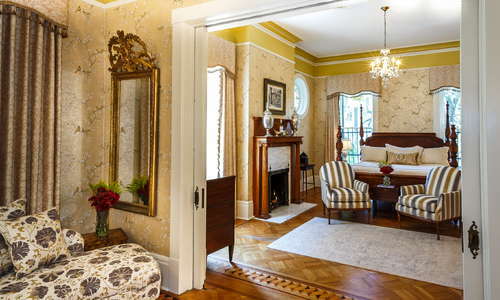 Guest rooms—many of which are exceptionally spacious—in this atmospheric Italianate inn dating from 1868 all have fireplaces and are decorated with a mix of funky finds and antiques from the Georgian and Regency periods. 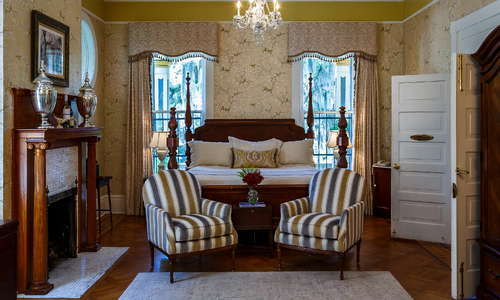 In a second building, identical to the main house, the Lafayette Room has the most noteworthy fireplace; the Caracalla Suite is named for the oversize whirlpool tub built in front of its fireplace; the Juliette Low room has a private wrought-iron balcony looking out on the treetops. The handsome and quiet Eli Whitney room is one of the least expensive. Fresh flowers throughout and the outdoor covered arbor are unexpected pleasures. 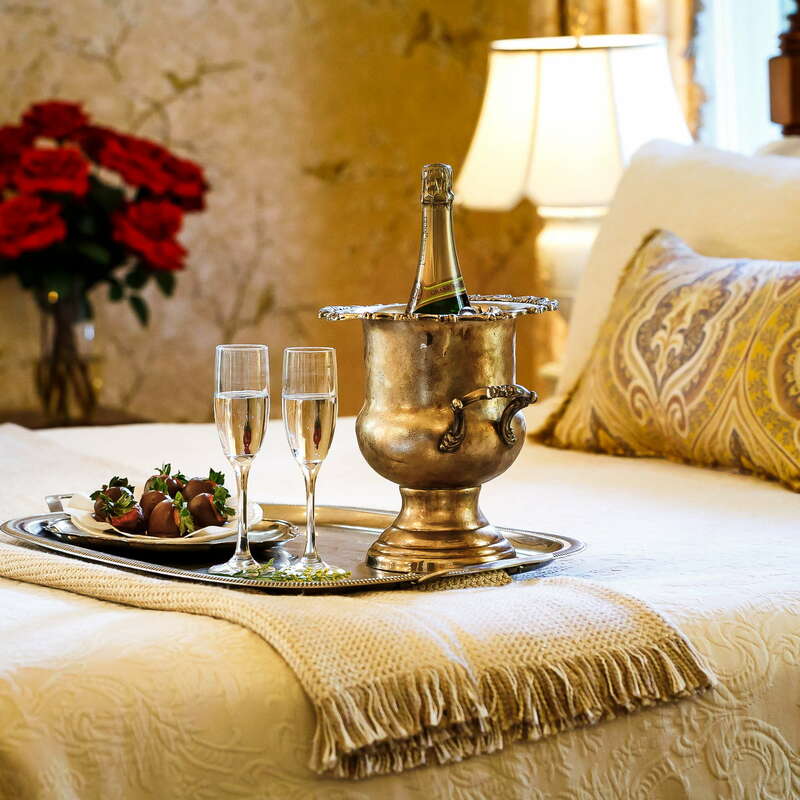 Afternoon tea, complimentary wine with cheese and hors d'oeuvres, and evening desserts and cordials are among the treats. At breakfast you can order such hot entrées as omelets with creamed spinach and goat cheese. YOU SHOULD KNOW Cancellations for stays during St. Patrick’s Day must be made 6 weeks in advance. Cancellations for stays during the Rock ‘n’ Roll Marathon must be made a month in advance. Both events are a huge deal in Savannah. 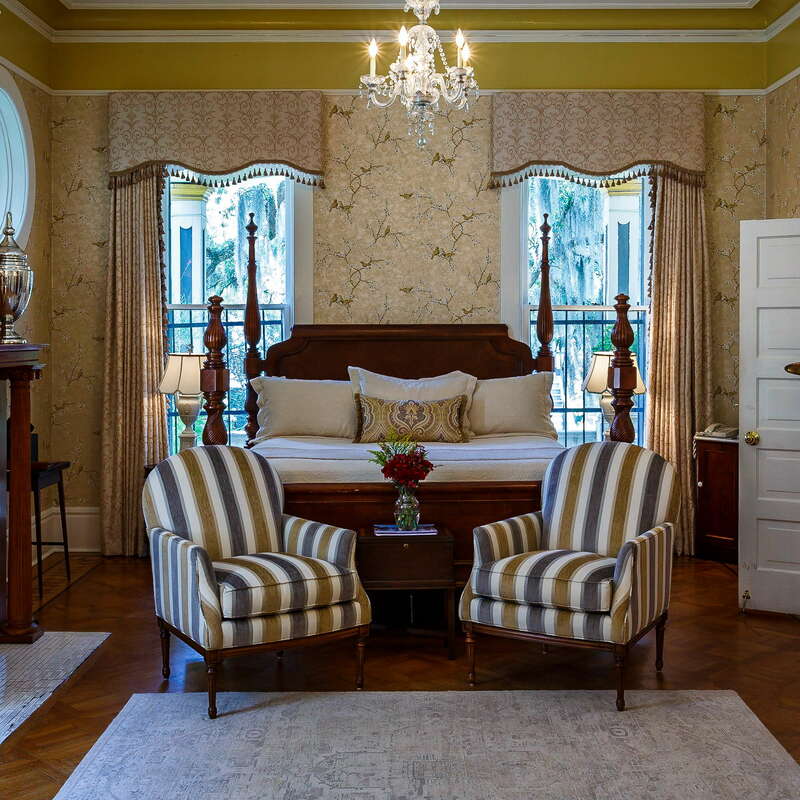 The bedrooms and private living areas are exquisitely appointed with antique furniture that do not, in any way, sacrifice comfort for aesthetics. The beds find the perfect balance between softness and support. The ornately framed antique paintings and fresh flowers create a sumptuous atmosphere. Many of the rooms lead out onto classic wooden balconies. 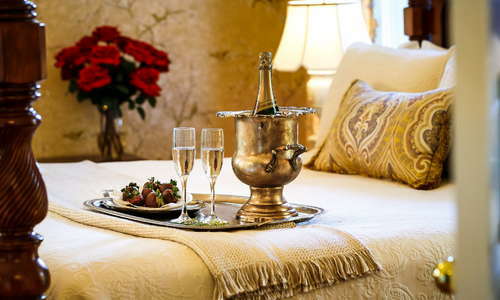 Ten of the 17 rooms/suites have either a large jacuzzi tub or clawfoot tub. Any bathrooms that just has a shower has a top-tier one: walk-in and marbled. ProTerra bath products and light, comfortable robes are a nice touch. As expected in a top-of-the-line B&B, the facilities are kept spotless. 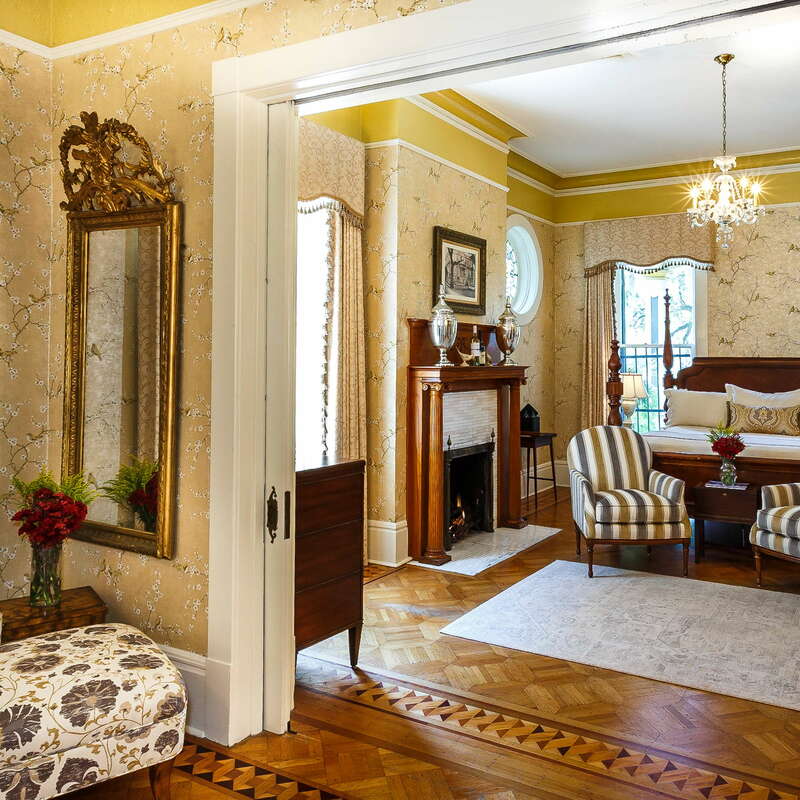 The Gastonian’s entranceway leads up an elegant staircase and down a hallway to the cozy parlor and dining room. The views into the garden make you feel like you have been transported back in time; they are handsomely manicured. YOU SHOULD KNOW Book tours of historical homes far ahead of time. The most popular residences book up quickly. We are huge fans of the 3-hour window for made-to-order breakfast, beginning at 7:30 each morning. At so many hotel and B&Bs, breakfast is either rushed or crowded. Here there are no such worries. You may also schedule an in-room breakfast, in advance. Hors d'oeuvres are served between 4:30 and 6 p.m. Dessert is laid out at 8. All of the dishes are first-rate. Wine is served with your hors d'oeuvres in the late afternoon/early evening. Cordials accompany your nighttime dessert. 700 Drayton (6-minute walk) is a local hotspot for creative upscale dining in a dramatic setting. The seafood is always mouth-watering and fresh, and the wine list is one of the best in town. Cuoco Pazzo Cucina Italiana (3-minute walk) offers ample outdoor and indoor seating and an extensive traditional Italian menu. On a pretty day, try your hand on their bocce ball court. Maté Factor (5-minute walk) has a classic tea shop vibe and has many tasty treats to enjoy with your beverages. They have lovely indoor and outdoor areas to sit and relax. 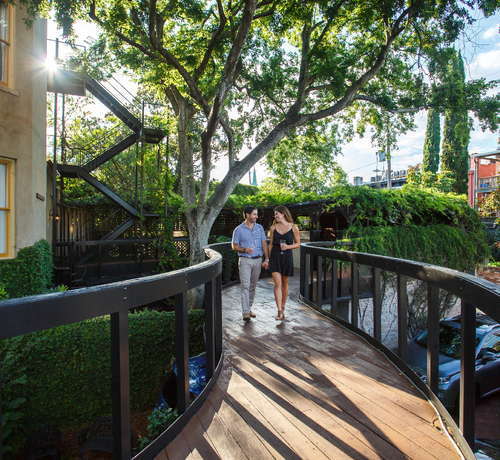 In addition to expertly mixed cocktails and live jazz and blues, Casimir's Lounge (6-minute walk) offers delightful panoramas of Forsyth Park, the largest and most active in Savannah. Six Pence Pub (12-minute walk) is a traditional English haunt, complete with a proper English phone booth and countless ales on tap. 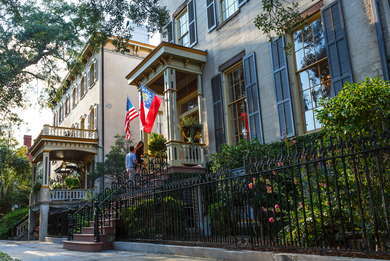 The Gastonian astutely captures the authentic historical Savannah mood with their period-appropriate art, antiques, textiles, and woodwork. You could spend hours pondering the attention to detail.